But all in all, it’s an improvement. I know a website that gets most of their revenue from Adsense. They get the MLS content. They get it into search engines, and they blast the user with ads. 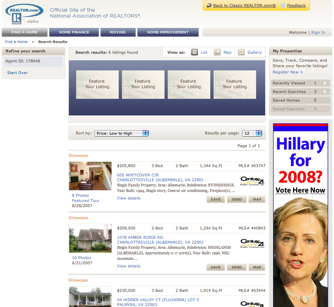 I thought that was bad, and now Realtor.com is copying them. WOW lol. Well money is power. Realtor.com cant discriminate who advertises.